The complete guide to marinating tofu – featuring 26 marinade recipes! 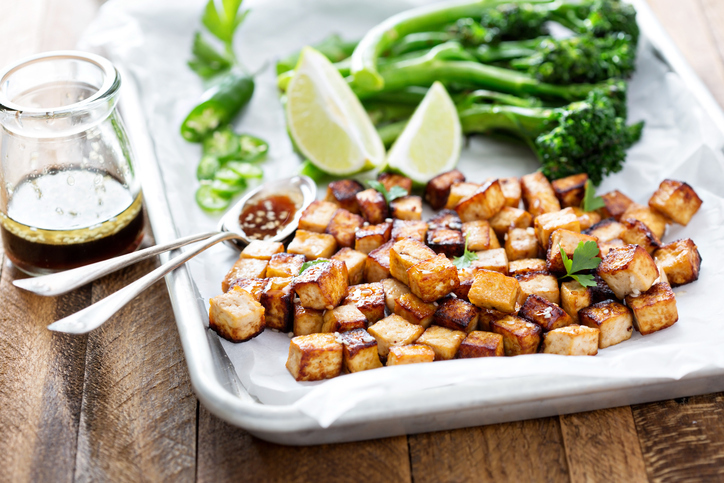 Tofu masters Tofuture are often asked what the best way to marinate tofu is, so we asked them to share their top tips on how to marinate tofu to ensure each bite is bursting with flavour! 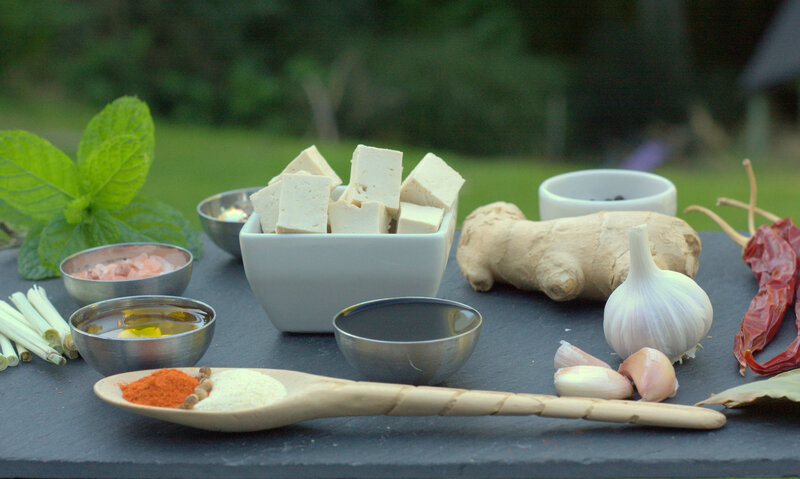 Tofu is often unfairly thought of as being bland and tasteless, but as tofu masters Tofuture show us, that’s certainly not the case when you get to grips with the best way to marinate your block. There are no hard and fast rules when it comes to creating a good marinade, but there are some general guidelines which are helpful to follow. It should be a liquid and a marinade is essentially made up of ingredients taken from 4 different categories. Before you marinade, press your tofu according to this pressing guideline. If you don’t own a tofu press: drain the tofu for at least 15 minutes, then wrap the tofu in kitchen towel and place on a hard, flat surface like a chopping board. Place another chopping board on top of the tofu, and balance something heavy, like a cast iron pan, on top to press the block of tofu. Leave for 15 minutes. When pressed, cut the block into cubes (good for stir-fries and salads) or strips, about ½ cm thick. Mix the ingredients for your marinade together in a sealable container and add tofu pieces, making sure they are fully covered by the liquid. Leave in the fridge and return to the marinating tofu at least once to shake the container. How long to marinade? As a general rule, the longer the better – ideally from a few hours to overnight, but if you only have half an hour that’s still better than no time at all. Play around with the ingredients, however choosing at least one from each group below gives a perfect balance of flavours. Adjust your choices to cater for your own taste preferences, or those of your guests, the region around the world your dish originates from, or at times (if you are anything like us) simply whatever you can find in the cupboard! Acid Acts as an enzyme which allows the ingredients to mingle citrus juices such as lemon, lime, orange, wine, or a vinegar for example balsamic, red wine, apple cider. You are now ready to start cooking, you can cook the tofu any way you like; bake, grill, barbeque, shallow or deep fry or griddle. If you are baking, think 180 deg C. for 35 minutes, turning halfway through. You can also add the marinade to the dish you’re cooking to act as a sauce; the tofu will continue to absorb flavour as it cooks. 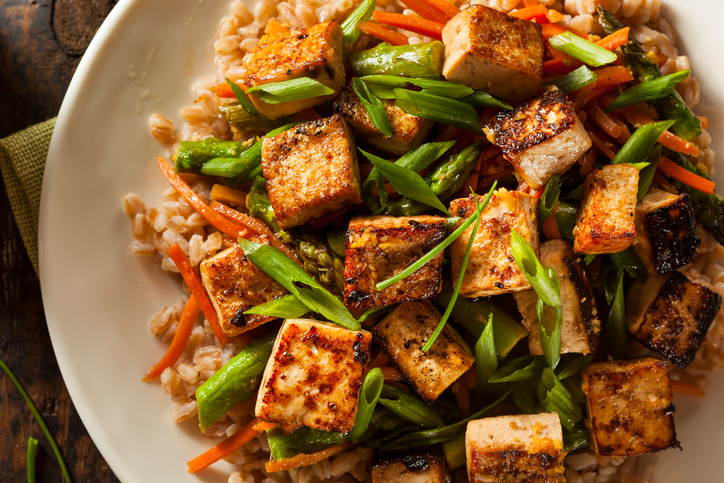 If you are barbecuing or grilling, brush your tofu with the extra marinade as it cooks to increase the flavour. Avoid adding salt directly to your marinade, use tamari or soy sauce, capers, miso or olives, as an alternative way to provide the salty taste as regular salt can quickly overwhelm your marinade and extract moisture from the tofu rather than introduce flavour. If you have any marinade left, the good news is, as all the ingredients above are plant-based, you can re-use it for another few days so you are covered for tomorrow’s kebabs, and the next day’s roasted veg (just keep it in the fridge). Hooray. There are no exact quantities here, play around with them starting with 1 tbsp for liquids and 1 tsp for powders and increase from there. Add a little water if you need more liquid but not too much as this will dilute the intensity. For more information on perfecting tofu, as well as tasty recipes, please visit www.tofuture.com. You can also find Tofuture on Facebook, Twitter and Instagram.